Can you believe that since the beginning of MARTA, in 1979, MARTA has transported more than 5 billion commuters? 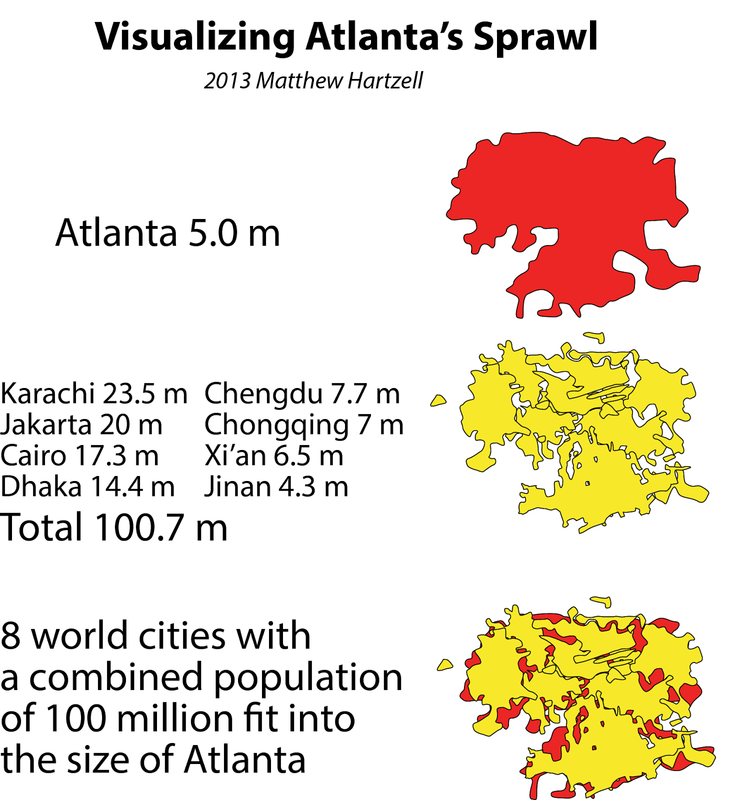 If you’re like me, and an Atlanta Native, then you probably find this statistic highly shocking. Especially since MARTA is represented and historically known as a poor transit system that pushes more inhabitants towards carpooling or using their own form of transportation. It is a public rail system that only serves certain areas of the city and if they chose not to expand its coverage areas and invest in programs and technologies to increase the public’s perception then we, in Atlanta, will have one of the most underutilized public transit system for the amount of population in the United States. It is a complete necessity for cities the size of ours to have a well-rounded, efficient and user friendly mode of transportation or we will no longer be the thriving city we are at this point in time. In general, MARTA must morph into a well-oiled machine by appealing to the new workforce, creating an efficient system, making people feel comfortable and connecting more areas of the city otherwise it is doomed to fail in what is most definitely the most populated but sprawled out city in the Nation. 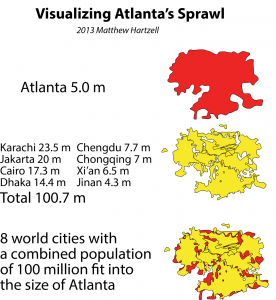 The below image shows exactly why Atlanta needs an improved and efficient system. IT IS HUGE. Atlanta, a town known for diversity, but still highly populated with prejudices, brings me to my point that MARTA must completely revamp if they want to appeal to both sides of the “riders spectrum” this ranges from the working class citizens that find public transport crucial, to the general users that might commute for a ball game or possibly for a night out. In an article written by, Doug Martin, entitled, “Why MARTA Ain’t SMARTA”. The exact close-minded behavior is represented completely. Here, Doug Martin, stigmatizes the majority of MARTA commuters into a general terms, you can only hope he coined, called, “Out of Sales Area Tax Cheapstakes”. This view point of the majority users is the reasoning behind MARTA’s CEO, Keith Parker attempt at rebranding the system. With this type of initial views on a system that thrives on repeat users, will do nothing but lead to an economic downfall of the system. In comparison, there was another article entitled, “Where it All At Went Wrong”, where a Georgetown Professor by the name of, Christopher B. Leinberger, clearly states that Atlanta’s biggest economic downfall was the lack of connectivity to all areas and types of people. This is in direct correlation to Doug Monroe’s immediate assumption of MARTA riders as “Out of Sales Area Tax Cheapstakes”. According to this link MARTA is only Atlanta, Fulton and Dekalb county, yet anyone can use the same amenities. Even after, areas such as Cobb County approved upon the expansion but yet decided not to push forward when the other areas did. Issues such as these, is what will forever continue to keep communities divided. The second, and in my opinion, the most important necessary advancement in the growth of MARTA is the need to create a safe, efficient and welcoming riding experience to all users that partake. I think this has been, by far, the most looked after advances by MARTA Board of Directors and Keith Parker. 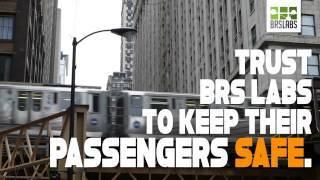 This is most shown by the recent teaming with BRS Labs and OUTFRONT Media, two perennial powerhouses in their own field that will greatly advance the public awareness, in a positive light, and also be directly associated with the safety and overall positive recognition of the rail system. OUTFRONT Media, is the US leader in out-of-home advertising and has worked with areas as prevalent as New York Times Square and through-out California as well. They are joining MARTA for a 5-year contract and hope to bring in an estimated $25 Million dollars’ worth of revenue. If this works out as well as anticipated, MARTA is able to extend the contract for another two years (1). This is a very exciting step in the right direction, since MARTA has operated on a deficit before MARTA’s CEO Keith Parker took over in 2012. It will be the first time MARTA has shown measurable signs of growth (2). In Comparison to the teaming of OUTFRONT Media, MARTA has also joined forces with BRS Labs; which will make this gang of allies almost unbeatable. BRS Labs, actually stands for Behavioral Recognition System, that is the first of its kind and is based out of Houston. What they will do is study real time behavioral systems of all humans near or in MARTA and will allow developing a real-time approach to actual threats. This, to some, might seem intrusive, but the fact that they can pin-point a sudden threat based on the actions one shows that is invisible to the naked eye is astonishing. They will be able to prevent possible terrorist attacks and make MARTA the safest possible form of public transit available to the public (3 and 4). This due of OUTFRONT Media and BRS Labs in conjunction with MARTA, a system that has had the groundwork of being the best public transit system, is going to be unmatched. It will provide the public with the confidence and peace of mind that one wants when getting into a closed form of transportation with thousands of strangers. MARTA, although seldom used by some, is a necessary form of public transportation throughout any large city or urban area. It is an area that connects all areas of a particular state and allows people the ability to economically transport from one location to another in hopes of prospering or partaking in jobs or nearby events. With that being said, it is safe to say, that MARTA was still take strides in advancing its overall user experience. Most importantly, the safety, efficiency and overall riding experience. Since Keith Parker’s take over, he has had an uphill battle from changing view points of the citizens on MARTA, to finding adequate funding and support to help target the entire city population as its target audience and not just the ones who are forced to use it. It is reminds me of the article written by Rachel Maddux and Kendrick Brihson entitled, “Communal Commuting: What I’ve learned from riding MARTA.” In this article, they talk about their several years while riding MARTA and how they initially viewed the riding experience. In short, they hated it, but they did see the purpose behind it and the fact that it was there to serve sometimes the lesser fortunate for the opportunity to travel long distances to find work even if they lived in a further outside area. At the end of this article, Kendrick Brihson, makes a bold statement and it says, “somedays, as smug as it sounds, I think MARTA has made me a better person”. This is by far, the most intriguing and genuine comment I read from articles with personal statements. She doesn’t block everyone into a category of “tax cheapstakes” or homeless people using the areas to mooch for money, but instead, she recognizes the riders as people just like her, and that riding MARTA has helped her become more down to earth and appreciative of the advantages she has in life. In my opinion, this is exactly what people handle on a daily basis, it is a constant grind to help them or their families grow and prosper. If you believe this, then why shouldn’t Atlanta Commuter’s, with no other means of transportation, be granted the ability to ride a clean, efficient, cost-effective and most of all universally equal public transit system? These are reasons why Atlanta must expand, grow and increase the overall experience of MARTA before, for the second time, we “miss the boat” again! PR, Newswire. “OUTFRONT Media Signs New Contract with Metropolitan Atlanta Rapid Transit Authority.” PR Newswire US05 Dec. 2014: Regional Business News. Web. 24 Apr. 2016. GIVENS, DARIN. “MARTA CEO KEITH PARKER.”Atlanta 5 (2015): 121–121. Print. BRS, Labs. “City of Atlanta’s MARTA Selects BRS Labs as Provider of Artificial Intelligence Video Analytics to Enhance Public Safety.” Business Wire (English)8: Regional Business News. Web. 24 Apr. 2016. Maddux, Rachael, and KENDRICK BRIHSON. “Communal Commuting: What I’ve Learned From Riding MARTA.”Atlanta2 (2013): 82-97. MasterFILE Elite. Web. 20 Apr. 2016. Sigo, Shelly. “Atlanta Transit Funding Bill Passes.” Bond Buyer34484 (2016): 24. Business Source Complete. Web. 19 Apr. 2016. Monroe, Doug. “Why Marta Ain’t Smarta. “Atlanta 42.2 (2002): 216. MasterFILE Elite, Web. 19 Apr, 2016. Toon, John D. “Metropolitan Atlanta Rapid Transit Authority (MARTA).” New Georgia Encyclopedia. 19 August 2013. Web. 03 February 2016. This entry was posted in Built Environment Analysis, Class Notes, Field Notes, General Participation, Uncategorized and tagged analytics, atlanta, BRS labs, cars, CEO, citizens, communal, Communal Commuting, commuting, doug, inhabitants, john toon, keith parker, kendrick brihson, marta, monroe, OUTFRONT Media, public transport, traffic, xu edmund. Bookmark the permalink.